Two of my coaching clients have lost a combined 74 lbs (34 kg) between the two of them! 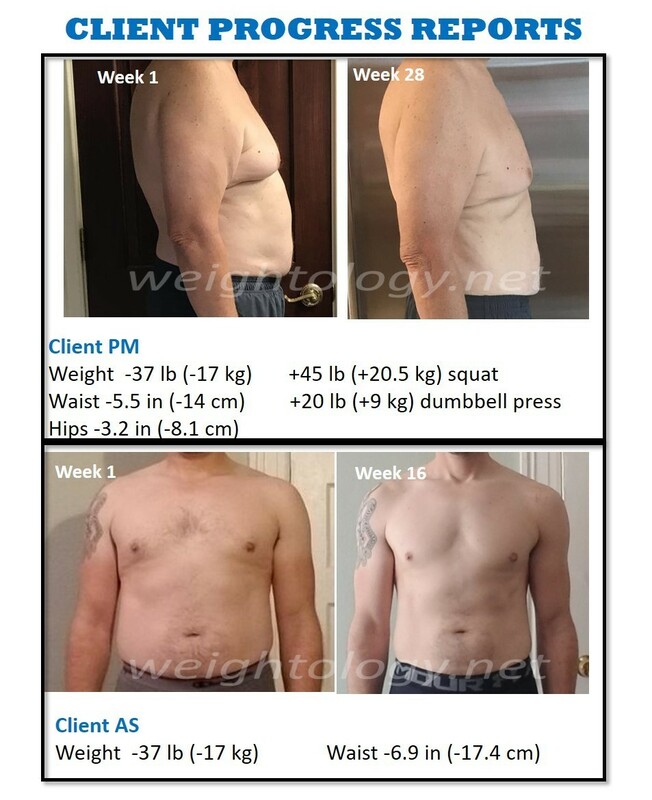 And there's nothing magical about how they did it...a combination of resistance training, increased physical activity, high protein intake, a low calorie density diet with plenty of fruits and vegetables, self-monitoring, and, of most importance, being consistent and persistent. Both have had their own setbacks along the way, but continued to be persistent and consistent in their efforts, realizing that the journey is a marathon, not a sprint. I saw a recent quote on Facebook about a man who lost around 200 lbs, and he was quoted as saying something like "I didn't lose 200 lbs...I lost one pound 200 times". And that's the approach my two clients have taken. The small steps add up to huge ones over time. I'm very proud of their efforts. If you'd like to start your own journey, check out my coaching page here.